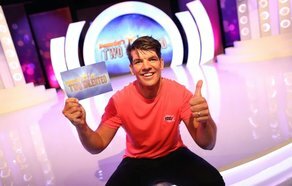 Donncha O’ Callaghan on set of 'Donnacha's Two Talented'. Applications are now open for series two of Adare Productions hit RTÉjr show ‘Donncha’s Two Talented’. Do you have a budding Beyoncé singer or a tango duet ready to show off their skills on TV? Would you have the nerve to join them on stage? Or maybe Gran has always wanted to sing by their side? Have you watched the show and thought 'I could do that!'? This is your chance to join the party. Adare Productions are looking for the country’s most talented youngsters, aged 5-11 years, to take part in the second series of the popular show. Singer or dancer, solo or duet, all applications are welcome. There are no judges, no competition just a chance to showcase the best talent Ireland’s kids (and their chosen grownups!) have to offer. The deadline for applications is the 10th of April 2019. Filming will take place in RTÉ studios this May.